Who said that? Zero/null quotatives to introduce speech. The quotative system, particularly in teenage speech, has received a lot of attention from linguists in recent years (for other summaries related to this topic click ‘Quotatives’ in the left-hand bar). Much of the research has focused on the frequency rates and the linguistic contexts in which reporting verbs such as SAY, GO and THINK are used, with many studies focusing on the more recent newcomer BE LIKE, which has emerged among English varieties across the globe. A: And I’m gonna go and see Sommersby. A: Sommersby with Jodie Foster and Richard Gere. Palacios Martínez compared the speech of Spanish (mainly from Madrid) and English (mainly from London) teenagers from similar social backgrounds and found that zero quotatives represented 8% and around 18% respectively of all quotatives used, demonstrating that it is a robust competitor within these quotative systems. Furthermore, the Spanish and English teenagers were found to use zero quotatives in similar ways. The first main context identified as favoring the use of a zero quotative was when a sound or non-lexicalised word was used, as in ‘grrr, grrr, grrr’ to provide a listener with an animal sound when telling a story about a bear. The second main use of zero quotatives was connected with mimicking a voice (as in the above example) or performing in a new voice, for example for dramatic or humorous effect. Within this category, Palacios Martinez found that the teenagers imitated a wide variety of accents, including African, Jamaican, Chinese, French and Swedish, usually done to criticize or make fun of another person or to sound funny and make their interlocutor laugh. The teenagers also emulated famous people or used voices typical of babies or young children. An interesting use of the zero quotative was, as Palacios Martínez describes it, to express disgust and disagreement with an interlocutor. He provides an example of a girl repeating a disagreement that she had with a boy in her class about a football team, where she repeats what the boy says and what she says in return but without the overt use of an introductory verb in the case of either speaker. The fact that conflicting views are presented seems to make it clear that different people are being represented in the narrative. An interesting observation made by Palacios Martínez is that the more involved a narrator becomes with his/her story and as the story becomes more dramatic, the more likely is the use of explicit quotatives to be abandoned and zero quotatives used. This is perhaps also connected to the fact that as a story progresses the listener comes to know the characters involved and there is not such a need for overt dialogue introducers. To conclude, Palacios Martínez argues that zero quotatives play an important role in the speech of teenagers, particularly in the construction of their narratives, suggesting that this may be connected to the fact that teenagers are more prone to imitating and mimicking others than adults. He argues that the lack of overt quotatives serves to make the narrative account more fluid and thus also involves the interlocutor more directly. Palacios Martínez, Ignacio M. (2013). Zero quoting in the speech of British and Spanish teenagers. A contrastive corpus-based study. Discourse Studies 15(4): 439-462. The pen is mightier than the javelin? safe and secure Olympic Games? Summer Olympic Games have been called ‘sport mega-events’ due to their huge scale. They take place in large capital cities and are generally considered as immensely important occasions, for which massive security operations are mounted. Malcolm N. MacDonald and Duncan Hunter were interested in investigating the language used to describe the security operation surrounding the London 2012 Games and to do this they considered the distinctive linguistic features used in Olympic security documents. 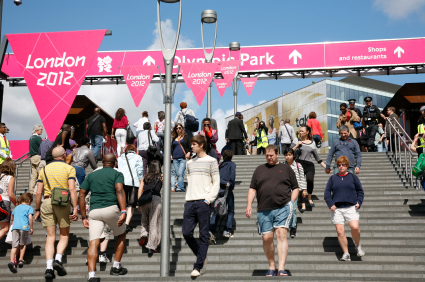 The London 2012 Olympic Games and Paralympic Games will be the largest sporting event in UK history … It will involve the biggest peacetime security operation ever undertaken in the UK. … delivery of Games safety and security compatible with the broader Games operation. It is also used in its adjectival form ‘safe and secure’, usually in front of the word ‘Games’. The researchers surmised that the phrase is deliberately used to join the positive connotations of ‘safety’ with the more problematic concept of ‘security’, making ‘security’ in turn seem more positive. The phrase was used so often in the texts analysed, almost repetitively at times, that as well as stressing the necessity of the conjoined concepts, they also appeared as ‘real’ rather than as abstract concepts. Aim to arrive at the Olympic Park around two hours before… and Make sure you’re in your seat at least 30 minutes before… They are generally spoken of as being somehow controlled. The texts use the noun threat very frequently, often along with the noun terrorist, as in The greatest threat to the security of the 2012 Olympic Games is terrorism. Interestingly, although all the texts incite the fear of a threat, this is never actually attributed to a particular person or group of people. Instead, it is closely linked with the abstract notion of ‘terrorism’ in general. MacDonald and Hunter feel that there is a political agenda behind the use of language in the texts that they studied. Between 2001 and 2011 Europe and USA experienced five major terrorist attacks. In consequence many documents have been written which, although they are designed to allay the fear of a terrorist attack, actually do the opposite by making the reader feel powerless before this supposed ‘threat’ to an event that is presented as exceptionally important. In the researchers’ eyes, this provides an excuse to mount huge security operations in whichever major city may be hosting the sporting event. They conclude that such undemocratic, almost dictator–like behaviour, revealed through language use, is actually anti-democratic and ironically goes against the inclusive nature of the Olympic spirit. So maybe whoever said ‘the pen is mightier than the sword’ was right? MacDonald, Malcolm N. and Hunter, Duncan (2013) The discourse of Olympic security: London 2012. Discourse and Society 24 (1): 66-88. Labels: Communication, Corpus Linguistics, Discourse analysis, London. The spread of English across the world has been viewed in terms of three concentric circles, which are traditionally referred to as the Inner, Outer and Expanding Circles. 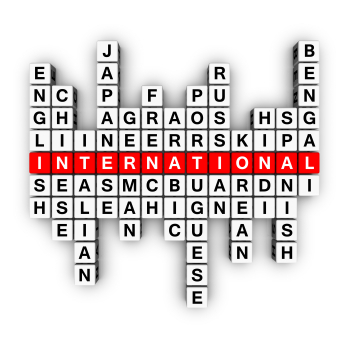 The Inner Circle (IC) refers to countries where English is viewed as a native language, often considered the ‘traditional’ bases of English: the USA, UK, Canada, Australia and New Zealand. The Outer Circle (OC) refers to countries to which English spread as a result of colonialism such as India and parts of Asia and Africa. Here, English has been institutionalised in educational, political and judicial systems and is a second language to many of its speakers. The Expanding Circle (EC) is where English is a foreign language which is considered important to learn in its international, business and digital capacity. As English becomes more widely used in an international context, linguists have simultaneously become more interested in documenting what is happening to variation in its usage across the three circles. One way of doing this is by studying the use of uncountable nouns. These include advice, knowledge, milk and information and are traditionally described as nouns that we literally can’t count and therefore have no -s to make them plural, as opposed to the countable nouns chair(s), book(s), pen(s) or apple(s) for example. The ‘incorrect’ use of these uncountable nouns has long been cited as one of the main differences between native IC speakers of English and those in the OC and EC, who have more of a tendency to pluralize them (as advices and milks for example). Christopher Hall, Daniel Schmidtke and Jamie Vickers decided to study this assumed distinction more closely with a view to seeing whether there was any variation in uncountable noun usage between the outer and expanding circles. To do this they extracted their data from two main resources. The first was the Vienna Oxford International Corpus of English, or VOICE, a spoken language database which contains just over one million words from non-native European English speakers. The second was the World Wide Web, a fantastic resource for research into international varieties of English, especially as it’s full of ‘ill-formed’ language that prescriptive linguists really don’t like, just perfect for this study! By using the advanced settings of the Google search engine, Hall, Schmidtke and Vickers were able to search OC domains like Malta (.mt) and Hong Kong (.hk) and EC domains like Thailand (.th) and Iceland (.ic). They scoured both VOICE and the WWW for examples of the ‘incorrect’ plural forms of uncountable nouns. They found that the pluralisation of mass nouns was actually pretty uncommon, although obviously more frequent than native IC Englishes where it is almost entirely absent. They also found that where uncountable nouns were used in the plural form, it was across a range of mainly OC settings. This was a curious finding since we would expect speakers in countries where English is an official, widely-used second language to use it more ‘correctly’ or at least more in line with native speakers of the IC. However, the researchers deduced that it may in fact be this notion of ‘correctness’ that is influencing the results. In EC settings, English is formally taught and learnt as a foreign language and these speakers’ reliance on formal language and grammar rules, something the researchers describe as their ‘post-learner status’, could be directly influencing the results. Hall, Schmidtke and Vickers are keen to point out that, although frequent when compared to IC Englishes, plural forms of uncountable nouns are unlikely to emerge as new forms in OC or EC Englishes as overall they are quite infrequent, and this usage probably doesn’t warrant as much ‘fuss’ and attention as prescriptive linguists have given it in the past. Nothing like some good researches to expand our knowledges, don’t you think? Hall, Christopher J., Schmidtke, Daniel and Vickers, Jamie (2013) Countability in world Englishes. World Englishes 32 (1): 1-22. Like it's teenage talk – or is it? People often think that using like as a discourse marker is typical of teenage talk. Christopher V. Odato’s research, though, finds that children as young as 4 use like in this way. Odato recorded children playing together, choosing one pair of girls and one pair of boys in seven age groups – 3, 4, 5, 6, 7, 8 and 10. He identified three stages in their use of like as a discourse marker. At first (stage 1), children use like infrequently and in only a few syntactic positions – mainly in front of a determiner phrase (beginning with a word like a or the, as in she had like a part right here) or at the beginning of a clause (like you deserve to get a spanking). As their language matures, they reach stage 2. At this point they use like more often and in a greater number of positions, though still more often before a determiner phrase. By stage 3 their overall frequency of like has continued to increase and they now use it more frequently in other positions, such as before a prepositional phrase (look at how mine landed like in the crack of the chair). 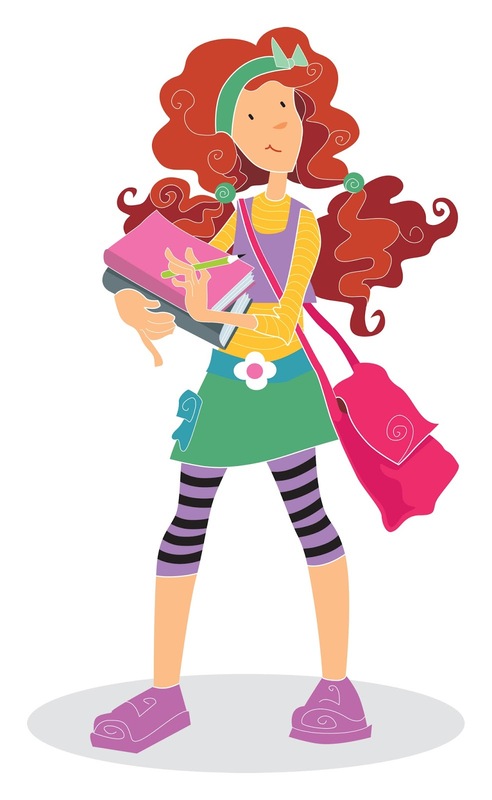 Although boys and girls follow similar developmental trajectories, Odato found that girls become more sophisticated users of like at an earlier age than boys. All the girls in the 4-6 year old pairs used like, but only half the boys of the same age used it; and those boys who did use like did so infrequently. The girls moved from stage 1 to stage 2 at about the age of 5, but the boys did not move on to stage 2 until they were 7. Girls showed a dramatic increase in their use of like between the ages of 4 and 6, but for boys a comparable increase in frequency was not seen until the ages of 7 and 8. Finally, boys aged 7 and 8 were still preferring to use like before a determiner phrase, whereas the girls were using it less often in this position and more often in a range of other positions. Odato points out that research on other discourse markers has also found that 4-7 year old girls use these forms more frequently and with more global pragmatic functions than boys of the same age. It’s been suggested that this is related to gender differences in play: boys tend to prefer active games that do not require so much speech whereas girls more often plot and act out pretend play situations. Intriguingly, the different syntactic positions in which children use like as their ages increase follow approximately the same order as the historical development of like as a discourse marker in English. Odato points out, though, that the frequency with which adults use like also coincides with the history of the form. Children probably wait to hear enough evidence that like can be used in a certain syntactic position before they start to use it that way themselves, and obviously this will take longer for the less frequent positions. However what we know about adults’ use of like is based on adults talking to adults, and we can’t assume that this is how adults use like when they are speaking to children. As so often, more research is needed! Odato, Christopher V. (2013) The development of children’s use of discourse like in peer interaction. American Speech 88(2): 117-143.